I was recently called to a home in Epping where the new owners complained of a power fuse blowing everyday. At first I suspected an electrical fault in an appliance, our investigation however uncovered a number of issues that would require some attention. I will write about each issue over the next week. Today I will write about the illegal wiring found. It would seem that the previous owner undertook much of the home improvements, based on the illegal wiring, I would suggest the handy man also undertook the electrical work. Not a day goes by that we don’t see some kind of illegal wiring. This pic shows exposed wiring on a brick wall and also unsupported electrical conduit that spans approx 4 meters between the garage and the granny flat. Both these have been removed, the granny flat is now supplied with an aerial cable from the garage. Here is one of the worst examples of illegal wiring found recently in a home at West Meadows. This outlet has been connected to live power. Exposed electrical terminals is a real safety risk. No earth conductor was connected making this illegal wiring even worse. Yet another reminder, Never undertake electrical work yourself. Today I will write about the overloaded power circuits found. The home had a number of renovations and extensions over the years, additionally, a granny flat and garage had been built in the back yard. Whilst the previous owner invested heavily in these improvements, it seems they did not consult a qualified electrician to modify the electrical installation to cope with the increased electrical load. One power circuit had been extended to connect to power outlets in the house extension, garage and granny flat. What’s more, a 3.6KW hot water service in the granny flat was also connected to the power circuit. Because the granny flat was not heated, it is likely that plug in electrical heaters would be used. The simultaneous use of multiple heavy load appliances was the direct cause of the power over loads. The solution would require the installation of a Sub-board with in-built safety switches, this would supply power to the granny flat power outlets and lighting, hot water service and garage lighting and power. The Sub-board would also supply power to the extension at the rear of the house. The main switchboard load will be reduced back to acceptable limits. Problem rectified. Firstly, the existing switchboard board was the older Federal board with ceramic re-wireable fuse holders. As shown below. These boards are increasingly becoming the cause of electrical faults some causing fires in homes around Melbourne. If your home has one of these boards, you should have it replaced as soon as you can. 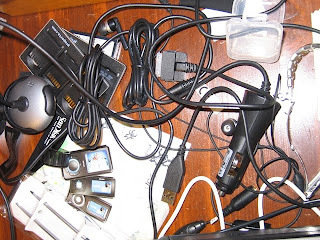 Loose cable connections and/or fuse contacts cause an increase in heat and if unattended will result in damage to wiring or can even result in a house fire. If the fuse wire is replaced too many times over the years, the fuse contacts become loose. Another issue with re-wireable fuses is that un-qualified personnel attempt to replace the fuse wire after an electrical fault. In some cases the fuse wire is not replaced with the correct fuse wire. This can cause a fire risk to the home. 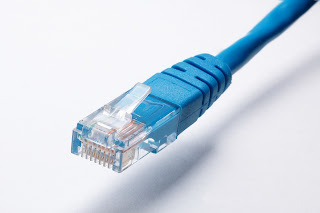 The fuse wire is designed to be the weak link in the electrical circuit, if more current is drawn than the installed cable can support, the fuse wire will overheat and melt, thus disconnecting supply. If the weak link is strengthened, then the weak link in the electrical circuit can become the wire install within the walls and ceiling of the home, replacement of this is very costly. The installation of a new circuit breaker board with in-built safety switches (approx $700 inc GST) will not only better protect your home and electrical wiring, it will protect family and friends from electrocution. The circuit breaker installed is factory set with a current limit. When more current is drawn than the rating of the circuit breaker, the breaker will trip. If this occurs, push back to the on position to reset. If the breaker trips immediately, a fault exists somewhere in the home. Disconnect all appliances you can find and repeat the process. If the breaker trips again call an electrician ASAP. If the breaker stays on, then one appliance you have disconnected has an electrical fault. Have this appliance repaired or replaced. 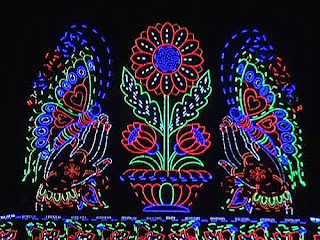 The usage of "lights" during festivals is quite universal around the world, whether it be for Christmas, Hanukkah, Diwali, Chinese New Year or Kwanzaa. 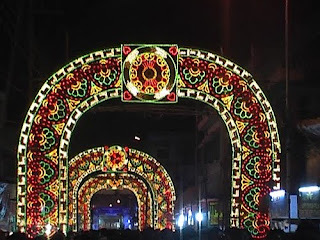 With electrical innovatons and techonological advancement, the festive lights have moved on from a static display of festival symbols to a scintillating spectacle with sound and motion integrated in it. 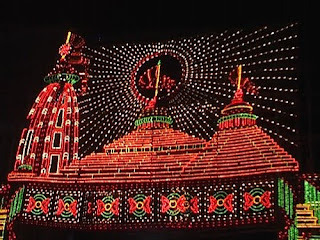 As our own festive season draws near, we hope to come back from India with some fantastic ideas of Christmas lights. We'll come back with loads of pictures for sure, but till then - enjoy these from years gone by. Today I was working at a customer's eight year old residence in Bundoora. Apart from the additional lighting points and power outlets required, the owner asked if I could have a look at a power-point in her ensuite that is not working. She said, in fact this power-point has NEVER worked since the house was built over eight years ago. I tested the outlet and found no power was present. I removed the outlet and tested at the terminals, again no power (or so I thought). At this time I was wondering if this cable was connected. I removed the terminal screws to find that the cable was not prepared correctly, the terminal screws were lightly clamping the PVC insulation, the bare copper conductors were not in contact with the outlet. This picture shows the three conductors each with the terminal screw marks. Luckily for the owner, the terminal screws were not in contact with the copper conductor, as this could have caused a fire. Every day I work I see signs of sub-standard Electrical Work, clearly this installation was not undertaken by a qualified electrician nor was the installation tested. Yet another warning for consumers not attempt DIY electrical work. If you have a power point not working, call me on 0431 232 796 to rectify the problems for you. Geoff is a registered electrician with over 20 years experience in the industry. He is also licensed to provide data and voice services. Baishakhi is an MBA and looks after the "business" side of Epping Electrical. Read our story here. Last weekend in Western Australia's north-west , a two and a half year old toddler suffered a fatal electric shock while playing hide-and-seek at home. Primary investigations reveal that there was no Safety Switch or Residual Current Device (RCD) installed at this property. Almost 80% of the deaths by electrocution in WA in the last 17 years could have been prevented if RCDs were installed, and new regulations there now mandate homes to have two residual current devices (RCDs or safety switches) installed at the time ownership is transferred or, when a new rental lease is made. RCDs are a mandatory requirement for socket outlet (power) circuits in all new dwellings across Australia since 1992. Having an RCD for lighting circuits too is mandatory in some states and provides extra protection and peace of mind. What is an RCD and how does it work? 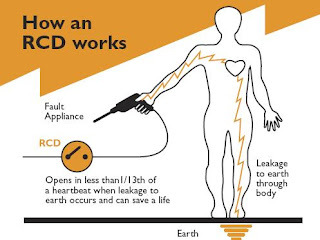 An RCD is a device that immediately switches off the electricity when it detects leakage or flow of electricity to earth (or other fault path) ie. through a human body, for instance. This happens within a few milli-seconds, much before electrocution can cause death. RCDs also prevent fire from faulty appliances by detecting electricity flowing to earth in electrical wiring and accessories. Is an RCD the same as a circuit breaker? Am I protected if I have a circuit breaker? No. A circuit breaker protects the wiring by disconnecting supply when a higher level of current flow is dectected than can safely be carried by the cable. This is often not fast enough to prevent electrocution. A circuit breaker and safety switch look somewhat similar, but the RCD is easily identifiable by the Test Button. We have an RCD installed. Is it working? Once every three months, use the test button on the RCD to see if it is working. This should turn off the appliances connected to the powerpoints (and possibly lighting) the RCD runs through. Call a registered licensed electrician to install an RCD. Regulations today require domestic installations to have at least two RCD's. Most RCD installations are done at the same time the entire swichboard is upgraded. For a FREE quote, call us on 0431 232 796. 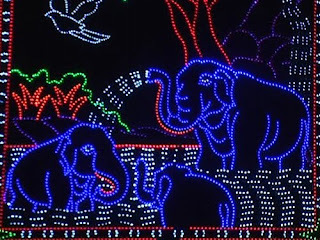 To check our prices go to our electrical services page. A wireless future for electricians? Light bulbs powered by wireless electricity that travels several feet from a power socket. Think that's the stuff of science fiction? Tell that to Eric Giler, CEO of WiTricity, a company that's already able to do this, and predicts that electronics such as phones and laptops may start shedding their power cords within a year. Such is the theme of this interesting article on CNN. The technology is already working on numerous test vehicles and is set to go commercial soon. At a Consumer Electronics Show in Las Vegas, power tools inside an industrial van parked outside a special booth receive signals that their battery is running low and start charging themselves - all while still inside their case. An LCD TV is powered by a coil hidden behind a painting a few feet away. And a power hungry ipod charges itself up when brought within 2 metres of this coil. A company named Powercast has already sold wireless artificial Christmas trees strung with LED lights for about $400. Still beyond the ordinary Australian's budget, but this shows how near this wireless future is. What does this mean for an electrician? First, it reiterates what was said in this video post. Besides the practical side of the job that requires manual skills, electricians need to have an aptitude for the academic side of the business to be successful. Like any other technology related field, electrical technology is fast changing. Devices and methodologies keep changing and electricians need to keep up with it and retrain and upskill themselves at all times. We attend many trainings in new fields such as home automation to stay in touch with the newest tools and developments. And of course, new developments mean a lot of fun. Imagine how cool it would be to be the first few electricians who can offer you a wire-free home that automatically charges cell phones and laptops and magically powers blenders and heaters with not a cord in sight. Go WiTricity, go Powercast! Bring on the innovation. We can't wait to share the fun! Although from New Zealand, this video captures the essence of what it means to be an electrical contractor anywhere in the world. 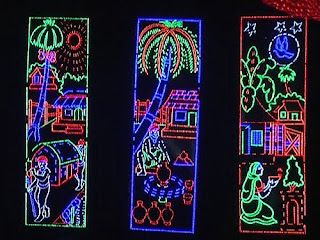 To be successful as an electrician, as it rightly points out, one needs to have an aptitude for the practical side, academic side and the people's side of this business. We will soon come up with our version of what it means to be an electrical contractor AND the owner of your own business. After our Navman was stolen from our van parked in our driveway, we resolved to never leave it in the car again. But as an electrical contractor, we are always on the road or at unfamiliar job sites and it is a hassle to always take it out even when we are away just for a few minutes. So finally we designed and built this burglar-proof holder for it. GPS power cable to be concealed in a permanent position. Step 1 Cut the metal with the jigsaw according to the shapes shown in the image. Measurements should be as per your satnav system. Leave some space for the felt to go in before the satnav. 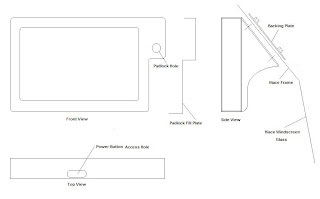 Remember to leave a hole for the power button as shown and also for the charger and any other button that needs access. Step 2 Weld the cut-into-shape metal plates together to make a box with one side open for the satnav to slide in. Make sure the lower rear section of the satnav is open so that GPS signals are received. Step 3 Cut out the backing plate and clamp to the holder. Drill six well spaced bolt holes. Drill the vehicle plate as required. Weld six nuts on the backing plate. Fit the backing plate behind the panel of the vehicle and bolt the holder through the vehicle panel and through the backing plate. Step 4 Paint the box and stick the felt on the inside. Step 5 Cut out & paint "padlock fill plate": a separate piece of metal that will fit onto the right-hand side before the padlock is fitted. Step 6 Slide the navigator in the holder and put on the high tensile lock. 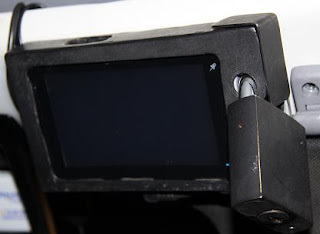 Step 7 Rewire the satnav so that the wiring goes behind the vehicle panel and is out of sight. You may need to extend the original power cable to do this. What’s for sure, nothing you can do with totally guarantee the GPS will never be stolen. Its all about making the task of stealing it so hard that it is just easier to move onto softer targets. Despite the doubts of family and friends, the GPS is still in position and I can rest easy that it is safe and secure. 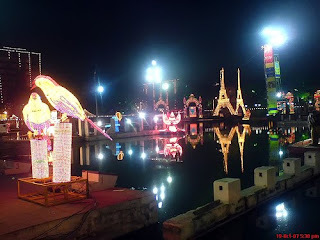 If you are interested to know more, leave a comment and I will try to answer your questions. One activity that is constant in the life of every electrical contractor is travel. For an electrician, time is money. We cannot afford to get lost even if we've never heard of the place a prospective customer calls from. On the job we might need to drive out again to get some supplies from the nearest Middy's or other wholesale electrical supplier. Along the way, we might need to grab a quick burger to keep us going. And doing all this travelling and route planning would be next to impossible without our in-car GPS navigation system. The more premium S-series models (S200 and S300T) come with FM transmitters, media players and live traffic updates. The new MY500XT even has live weather updates and travel books. We have found that the S150 suits our needs fully and we'd hardly use the additional features the higher end models offer. 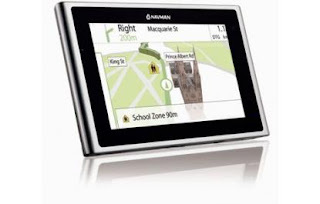 There are also a host of other companies that offer in-car GPS navigation systems - Garmin and TomTom being the top two that come to mind. Head over to forums like CNET Australia to see what other users say about each of them and choose what suits you best. Do not throw out the Melway or other maps you used before you bought the GPS. At the rate our cities are growing, GPS maps do not always keep up with new suburbs and it is worth having a backup for finding all the new homes we wire up. New maps are updated by Navman once a year. Checking up on Google Maps is also useful for new estates. And finally, once you buy one of these - keep it safe. Never leave it in your car on the windshield or dashboard. We had our van broken into and the GPS stolen when we did that. We had to replace the Navman and also shell out a few hundred more to replace the broken side window! Lesson learnt: Never leave valuables (GPS included) in the car, especially overnight on a regular basis. However, we did come up with a way to not have to take out the GPS everytime we left the van at a work site. More about this in this post. Thanks Geoff for your excellent work on my recent rewire and switchboard replacement. Very happy with the work you have done. Geoff provided excellent communication, was able to give me a quote on the spot and then when the guys did the work they spent a solid day working on what was a big job, got it done in time, and more importantly right on budget. Thanks again! 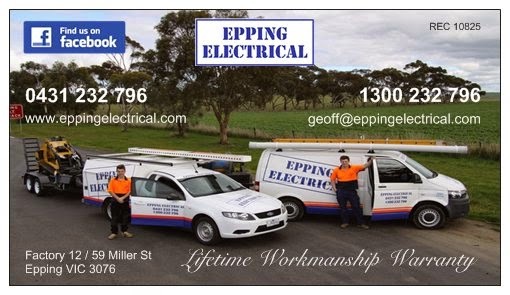 I highly recommend Geoff and Epping Electrical! 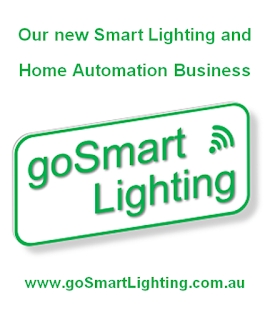 We are an electrical contracting company based in the northern suburbs of Melbourne. With over 20 years experience in the industry we provide services for new Electrical Installations , electrical repair and maintenance, telephone and data cabling.